Isaac Williams Aunt Sally: or, The Cross the Way of Freedom. A Narrative of the Slave-life and Purchase of the Mother of Rev. Isaac Williams of Detroit, Michigan. Aunt Sally: or, The Cross the Way of Freedom. 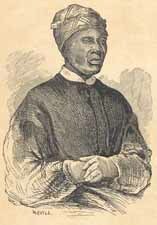 A Narrative of the Slave-life and Purchase of the Mother of Rev. Isaac Williams of Detroit, Michigan. Cincinnati: American Reform Tract and Book Society, 1858. African American women -- North Carolina -- Biography. Freedmen -- Michigan -- Detroit -- Biography. Plantation life -- Alabama -- History -- 19th century. Slavery -- Alabama -- History -- 19th century. Slavery -- North Carolina -- Fayetteville -- History -- 19th century. Williams, Sally, b. ca. 1796.